Tacos by Tacombi. Photo courtesy of NYMag. Lunch can definitely mean more than the usual Chipotle burrito bowl or Cosi sandwich. If you’re tired of those options and looking for a change, here are my 3 favorite lunch spots near the Square that will have you satisfied and coming back for more. Cafe Habana Corn. Photo Courtesy of Cafe Habana. Literally right next door to Café Habana is its quick and easy “to go” outlet. Here you can find all of your favorites from next door without the frills of a sit down meal. My go to choice for lunch is the Cuban Sandwich ($8.50) paired with an ice cold Mexican Coke ($2.50). Voted New York’s best, how can you go wrong with a generous serving of citrus marinated roast pork, ham, Swiss cheese, and pickle on hero bread with a hit of chipotle mayonnaise? This sandwich has been on my lunch rotation for years and I don’t see it going anywhere. Another favorite and specialty is Café Habana’s grilled Mexican Style Corn with cotija cheese, chipotle powder, and a hint of lime. There’s a reason why you see this bad boy all over everyone’s Instagram feeds. Interior of Tacombi. Photo courtesy of The New York Times. Down the street from Café Habana is my favorite taco spot in the city and a great hangout if you have a little bit more time on your hands. 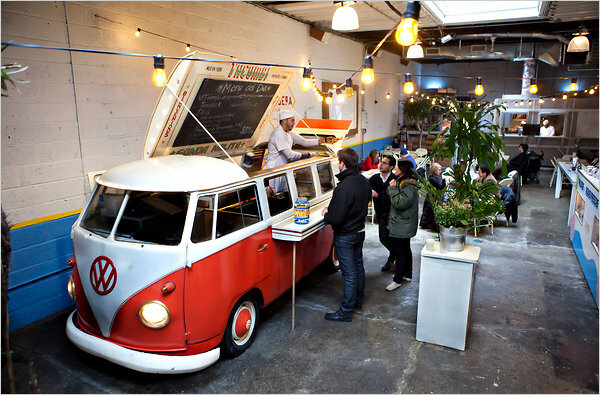 The interiors of Tacombi are great and take you into a Mexican garage set up complete with a VW Kombi that serves as one of the restaurant’s open kitchens. The menu is short and sweet with a focus on providing a solid range of taco options. I’d recommend getting three tacos for a full meal or one of each if dining with a big group. My personal favorites are the Crispy Fish ($4.49), Barbacoa ($5.49) and Pork Belly ($5.49) tacos. Squeeze some lime on top, add a drizzle of one of Tacombi’s many house made hot sauces and you’ll be all set for an amazing meal and one of LES’ coolest taquerias. Ngam Pad Thai. Photo courtesy of Ngam. Next time you’re walking up (or down) Third Ave., don’t make the mistake of skipping this restaurant. Ngam’s modern take on Thai comfort food will satisfy any doubts and put Spice to shame. 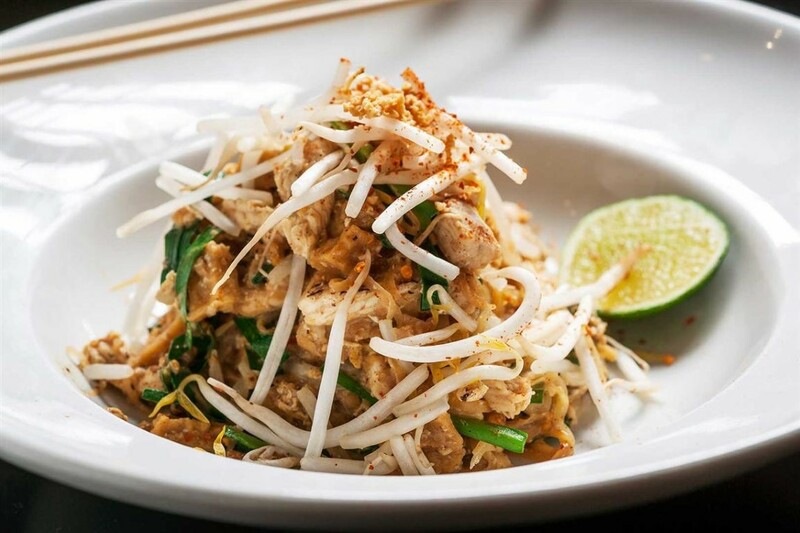 Their Old School Pad Thai ($12) is a clear standout and comes with a choice of chicken, pork, beef, tofu, or vegetables. Another great alternative is the Pad See Ewe a dish of wok fried flat noodles with farm eggs, broccoli, kale, cauliflower and your choice of protein. No matter you choose, I can guarantee that Ngam will surely be added onto your list of restaurants to go back to.